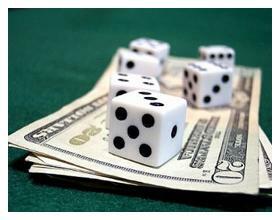 What type of bonuses do online casinos offer? There are so many online casinos out there nowadays they really have to fight hard for your money, and thus they offer you pretty good bonuses for your business. While it’s always nice to get good bonuses, it’s also important to know which bonus offer suits you, and your style of play/betting, best. The first and most basic offer is a Sign up Bonus. This is usually used to attract new customers and generally is the best type of bonus around, it’s mostly used as a ‘Match Bonus’ where if you deposit $500 they’ll give you $500 free – but some Casinos will make you play through the $500 first before giving you the free $500 so watch out for that, it’s also worth noting that even though a casino may have the best sign up bonus, the bonuses they offer afterwards may not be as good as elsewhere. Some casinos offer good Loyalty Bonuses, they definitely won’t be as big as the sign up bonuses but all you have to do is play and it should add plenty of value to your betting – sometimes they may offer you an offer certain days that others will not be able to get, the offer may be something like ‘deposit $50 today and get a free $50’ or something similar. It comes in very handy some days. Sometimes you may get offered a Sticky Bonus – which is a bonus that has to be played with on the site, basically it’s a non cashable bonus which must be bet, and then if you win you will only receive the winnings of that bet, without the stake – you can then withdraw that. It’s pretty much like a free bet, you just can’t keep the stake if you win. Probably the best offer around for some people is a No Deposit Bonus – which is as good as it sounds, just open up an account and you’ll receive some free money to bet with, these bonuses tend to be really small though, and always be careful read the terms and conditions. Lastly we have Exclusive Bonuses and Referral Bonuses – basically this means if you join a site through a friend or through an advert, you’ll get a better bonus because of that. You might have a “refer a friend” bonus or an advertising site may run special deals on certain days to offer Exclusive bonuses to it’s readers. All and all there’s tones of great bonuses out there, it’s just about finding which one is best for you, or which one gives you the most money! I like the sticky bonuses, some people feel ripped off if they don’t understand them, but once you realize its a really cool way of doubling or even tripling what you have to play with, you can make them work to your advantage. Everyone knows that the bigger your pile of chips the better your chances. I am glad that there are bonuses offered, I think its a great way to try a place out and see if you like it without feeling committed to playing there. Thanks! I’ve commented before, but do not see my comments: I’ll try again….My favorite bonus is the free chip and Palace of Chance is the King in this caragory! I really like the sign up bonus because it gives me a chance to try out the games and decide which ones I want to play. Love any and all bonuses!